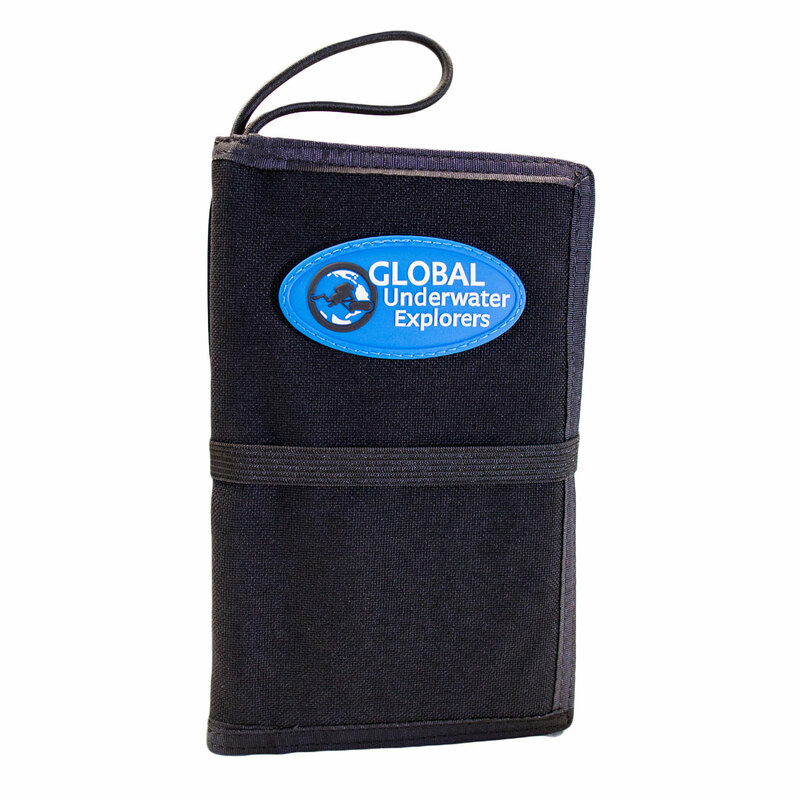 The GUE Diver's Notebook is now available in black! 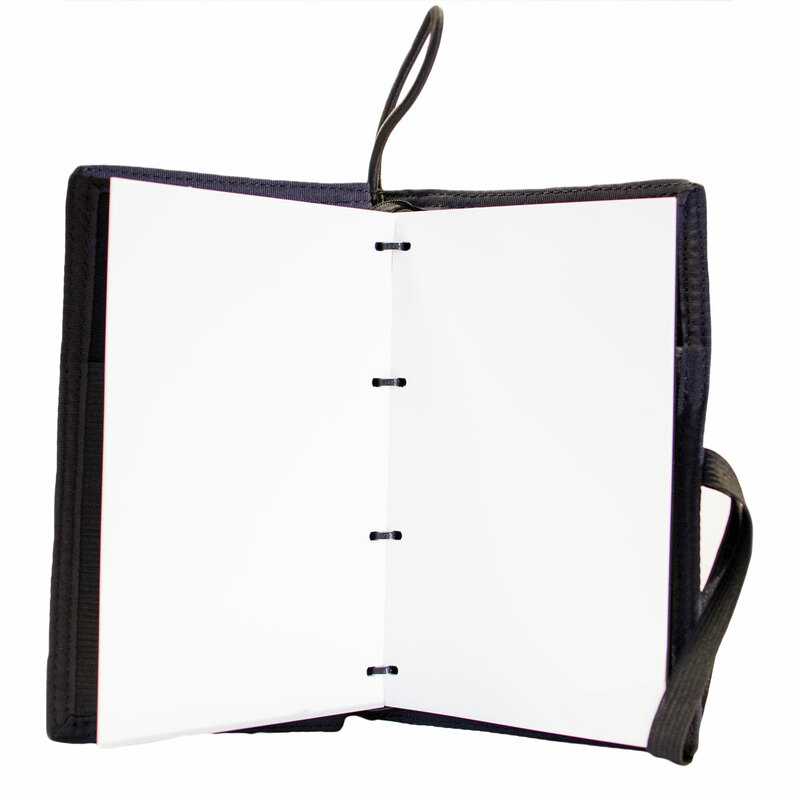 Features: Ballistic nylon cover with molded vinyl GUE logo; 25 sheets of replaceable underwater paper; Two clear pockets to hold accessories (tables, compass, etc. ); Elastic bookmark; Elastic pencil holders; Shock-cord closure loop, plus attachment loop for a double ended bolt snap. Get yours today!